Christmas and New Year is all about celebrating. We have developed several amazing cocktail ideas with renowned mixologists to bring you some new and exciting drink ideas. These cocktail recipes are a must for any party and work really well with dry ice to create something new and exciting this year. If you had a Halloween event why not treat yourself to some dry ice and make use of your Chillisticks again. These are perfect to use with Mulled wine as it is warm and also tastes great too! Please browse our delicious Christmas Cocktails for cocktail and punch ideas. Everything needed to enhance events for grown ups - individual smoking cocktails and smoking shot glass drinks and truly amazing ground hugging fog effects - just add water! Typical cost is £2.50/person based on 20 guests. For larger parties the stirrers can be washed and re-used multiple times per night as is the practice at venues. 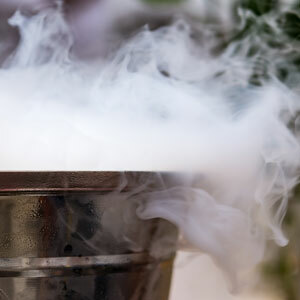 The Ice Cloud creates amazing smoke effects using dry ice in ice buckets. It is a unique way to enhance any bottle serve and will create an immediate impact at VIP areas or for special events. Christmas Eve & New Year's Eve £10 delivery - we top up the ice! If romance is not your thing... celebrate the New Year with a dazzling bottle of champagne served on a bed of dry iceThese are perfect to use with Mulled wine as it is warm and it also tastes great too! For New year why not have a chilled bottled of Champagne using our Ice Bucket Kit. 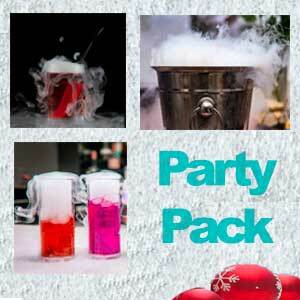 Created by specialist mixologists to use with ChilliSticks and dry ice. Phone us on 020 3432 9412 if you need further information. 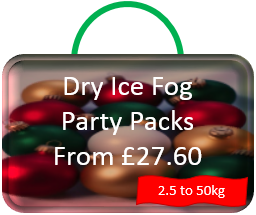 We offer a wide range of fog pack sizes to suit your requirements - the most popular party pack sizes are the 2.5kg, 10kg and 15kg packs. If you want to browse the different size packs which start from £27.60 please view the fog packs. Price includes thermal container, gloves, handling instructions and free delivery. 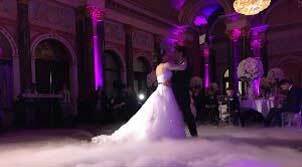 Dry ice is perfect for cocktails on arrival, champagne towers, table presentations, first dance and wedding cake. 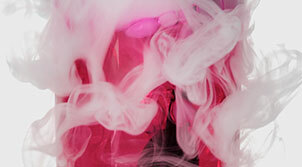 No one has more information and advice than Chillistick on how to plan and use dry ice to wow your guests. Whatever the size or budget of your wedding we can help you. Please call 020 3432 9412 or email info@chillistick.com to discuss your wedding requirements. Dry Ice Special FX - Panto Season! 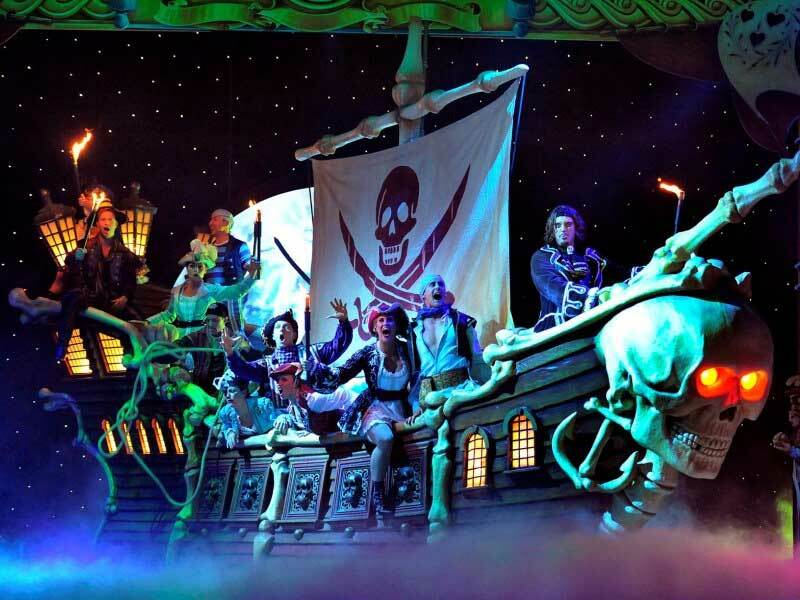 Dry ice special FX are a must have for any production big or small - whether a school production, amateur dramatic show or full scale large panto - dry ice plays it's own part! We have a wealth of experience on how to create floor effects, utilising fog effects with props, dance routines, fairy godmother's or evil witches. Where there's smoke there's.... dry ice! Please do give us a call we can help offer advise on props, usage, storage and delivery options. Call 020 3432 9412 or email info@chillisick.com. 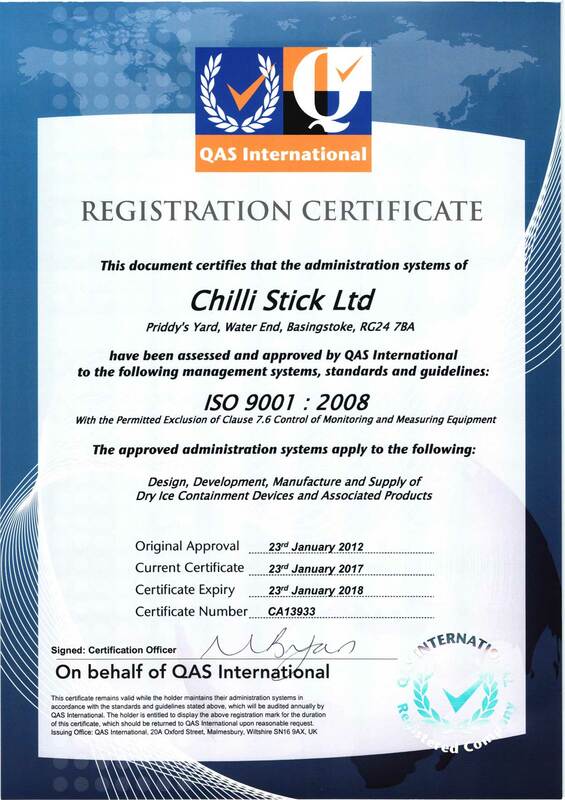 Its a first for Chillistick! This Xmas and New Year you can order 2.5kg for delivery on Monday. We will overfill the ice pack to ensure you have 2.5kg for the Festive Season. The delivery charge will be just £10.00. Please take a look at our Christmas Deliveries. If you would like to browse our full range of products please take a look at the shop link.